Video clips & Pics provided here of each and every spring featured here below. 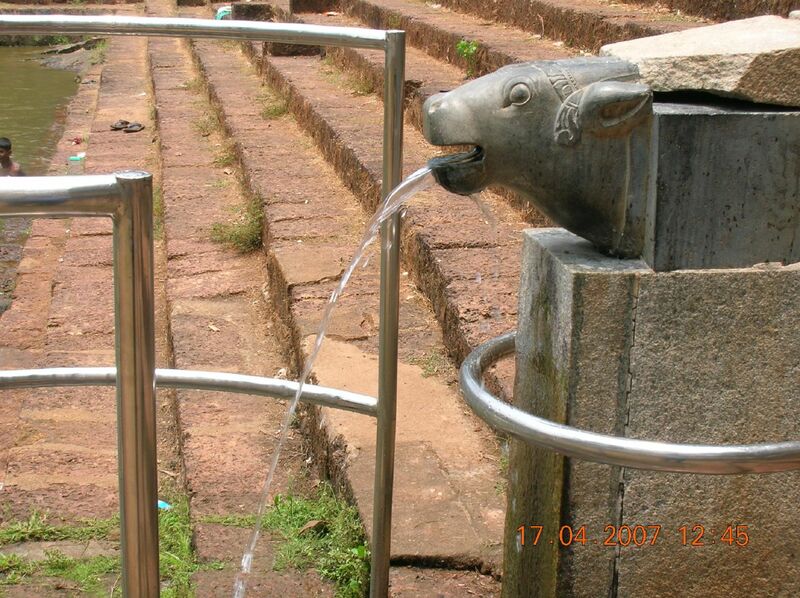 I remember those days, where we used to go to various Springs for a whole day out with our Tiffin etc. In just one day we visted all 3 Cansaulim Springs having bath at each place. 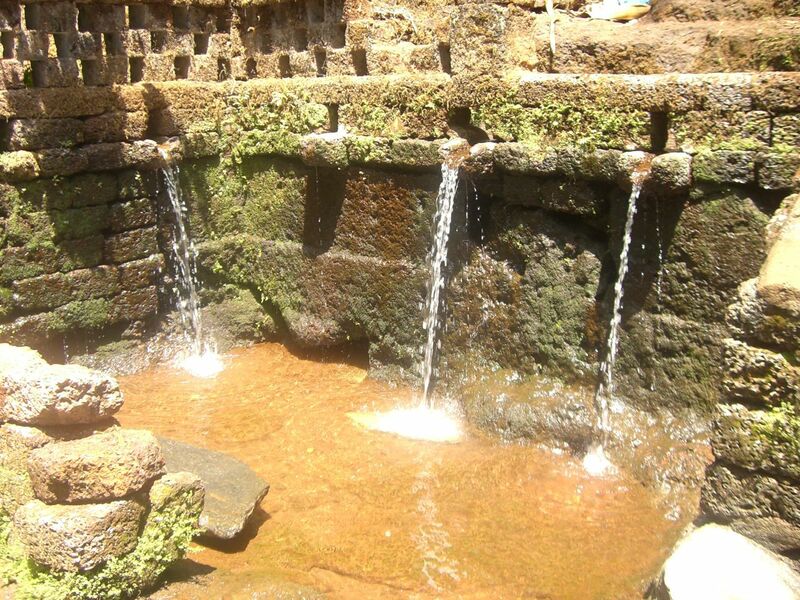 Spring water is treated as having medicinal value and most spring water is said to be good for eyes etc..
We visited there in groups with our parents etc mostly on foot. As young boys, we also visited Verna springs on cycles. 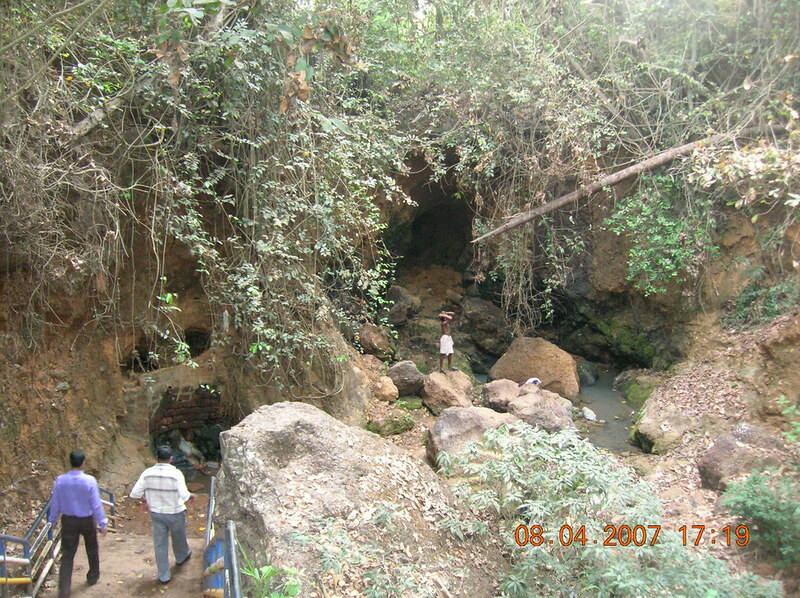 We also visited one ‘Derodde’ spring near the Sankval Rly. Station. We walked along the Rly tracks from Utorda (then metre guage, now broad guage) the spring is below Zuari Agro chemicals, which was closed for public very long time ago due to some chemical (factory waste discharge) found in the water. Those days, I also remember that even sea water got polluted and plenty of dead fish thrown ashore. At this time ZACL was spending Rs.16,000 per day (the cost of new color 20"TV that time) to neutralize the waste discharge before releasing into the sea water. 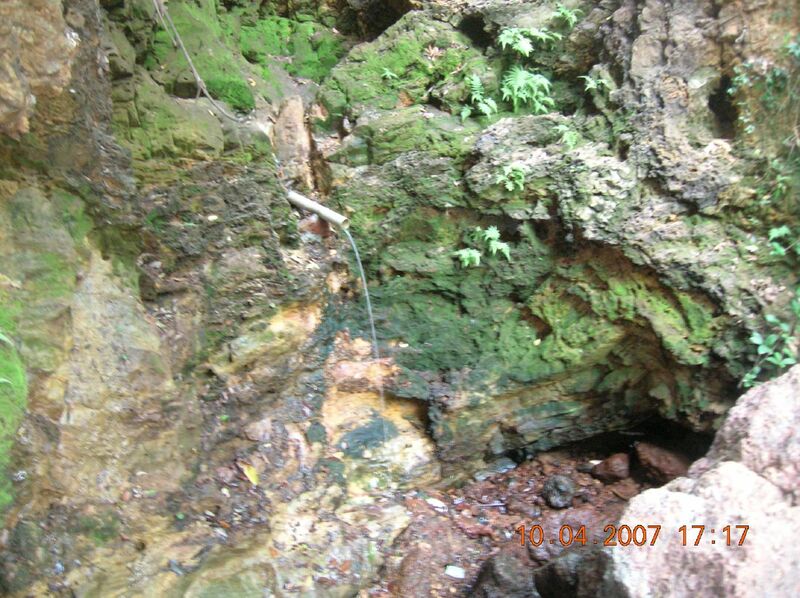 When I visited those springs recently, I was shocked to see the sorry state of each and every spring. 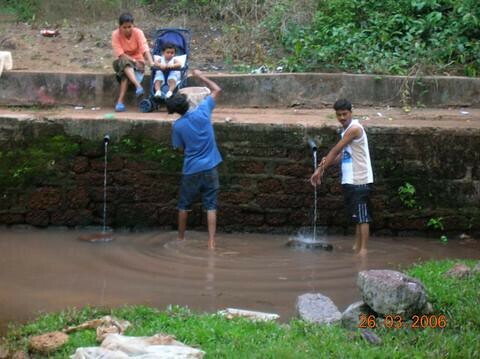 I thought i would visit most south Goa Springs and pass it on to you via net. Should you require any further info etc please feel free to write back joegoauk@yahoo.co.uk or leave comments below. If you have any further info on any of the featured springs here, you could comment on that too. It was very famous. People from all over Goa used to come. Now, it gives a deserted looks. Thanks to various Govt. neglects. There is a restaurant nearby run by Goa tourism. It’s near Verna electronic city, about 3/4kms from Cortalim Junction. Two wheeler: 3 minutes from the restaurant. Check this video & Photo. 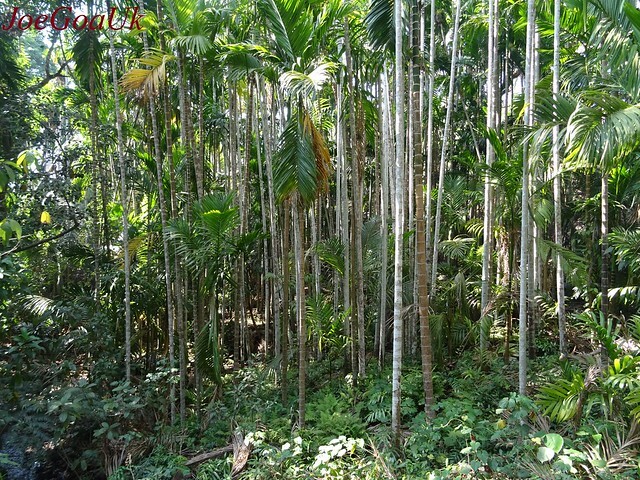 This one is also very popular and I rate this Spring as 3rd best in south Goa. In the main Road (NH17) near Fr. Agnelo Ashram. All the buses No. 1 above stop here. Two Wheelers go right to the spring. This is not very popular spring, infact, I heard about it for the fist time. Although it give a sizable flow during April/May month, it may not be suitable for females and children as it involves climbing on the slippery rock. 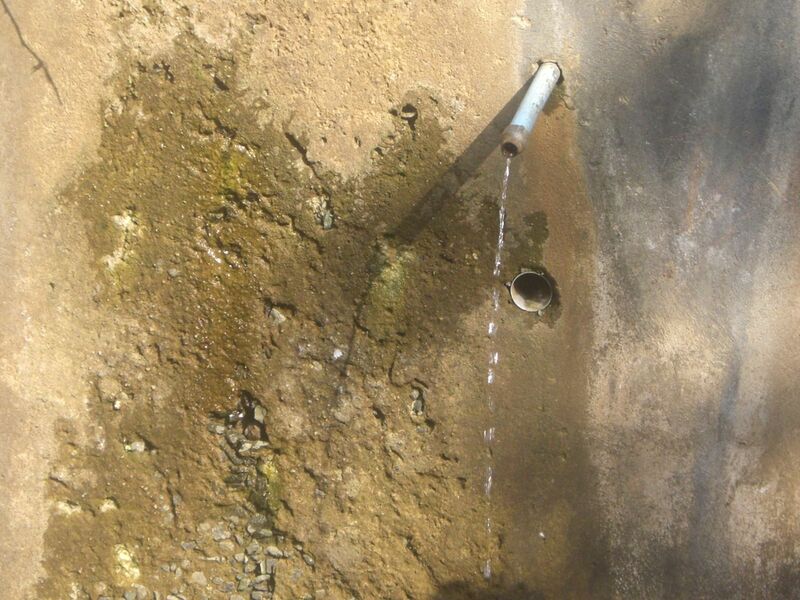 There is a secondary water flow too. The road (NH17) from Verna Church (hundkant) via Verna Lake and then Uddier/Amlar. It was also very popular but now seem no one visit here. All buses (see 1 & 2 above) stops here. One may take Motor Cycle Pilot from there. There is a road but no cars/two wheelers go up to the spring. It was very popular too. Located down the Birla Velsao Slope (Road). Here our former CM Dr. Loius Proto Barbosa now spend most of his time. Adollem spring is in his property and he has little bungalow there. How to get here?Cars/Two wheeler go very near to the spring. Walking involves about 3 minutes. Although there are many local buses from Vasco-Airport-Birla-Cansaulim-Majorda-Margao and Vice versa, there is no bus stop here. But the bus may stop upon request. Pvt. Cars/Two wheelers, there is a road on the slope (main Road). This one is not very far from 5 above. Here we used to go for picnic during our childhood. And returm back home with our Tiffin filled with ‘Khou’ (Thrashed paddy rice). This area was full of Hindus community. It is near the Muddier Temple. How to get here ?All buses on above sector (see 5 above) stops here. Two wheeler can go right up to the spring. Four wheelers may have to park on the main road and walk about 15 minutes. Remeth Sokol means at the foot of Our Lady of Remdious (3 kings chapel up on the hill). 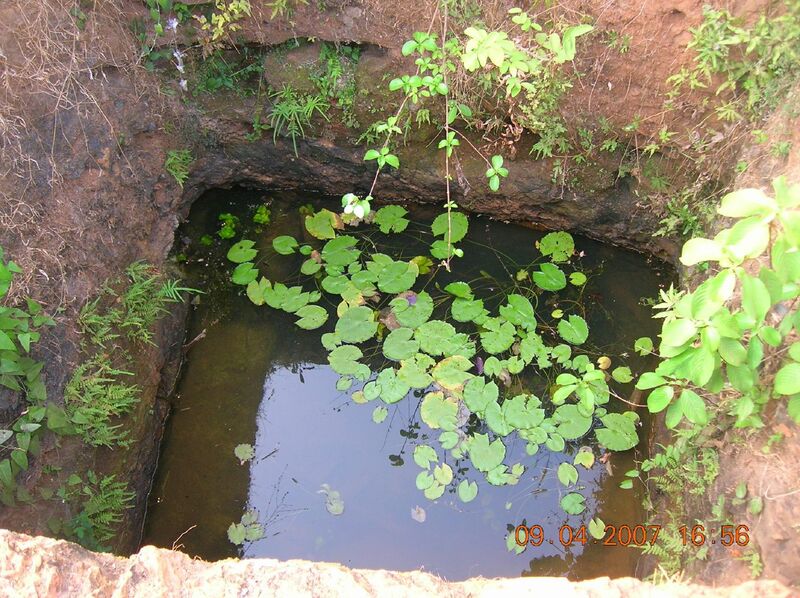 We frequently visited this spring but surprised now to see it reduced to a form of a small tank with growth of lotus plants etc. There were no houses around the spring but seen plenty now. Close to this spring lies the two separate path ways for the kings (on horse back) to climb up to the hill on the feast day. 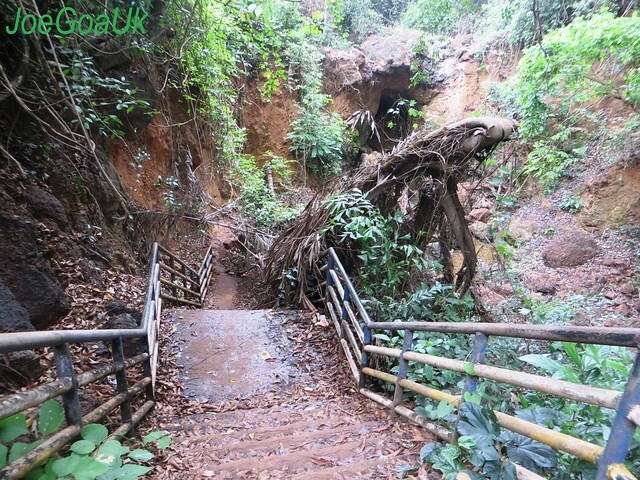 There are 3 such path ways (one for each king) and one common path way to climb down. 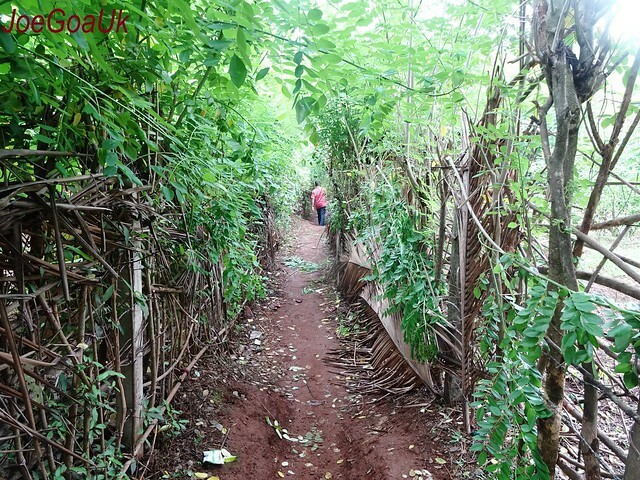 These pathways are locally know as ‘Reiamchi Paaz’. The road to Cansaulim Church takes you straight there. Also, the road from the main road from 5 above also goes there. Ther are other interior roads too. E.g from Consua, Muddier etc. Cars/Two wheeler stops close to the spring. If coming by buses, take any of the buses from 5 or 6 above and get down at Cansaulim Market and from there take motor cycle pilot (charges may be around rs.40). 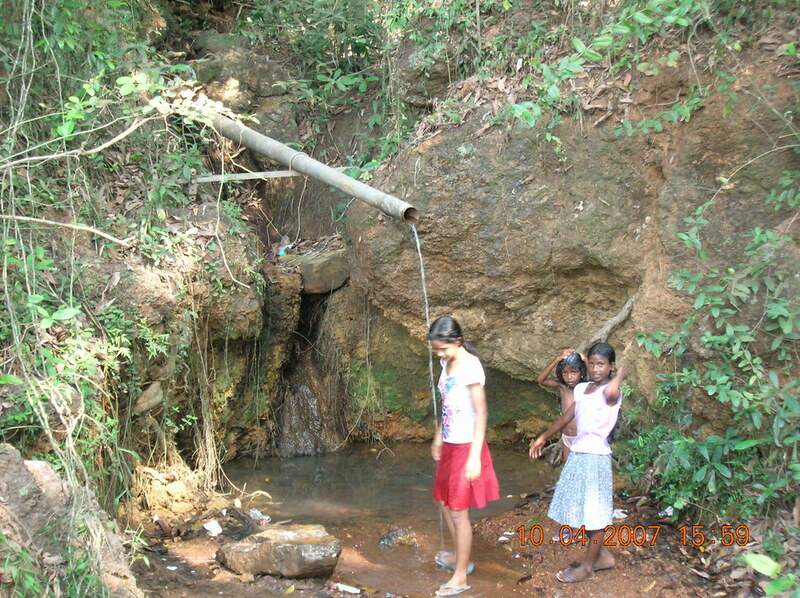 It’s about 3 or 4 kms from the Velsao-Cansaulim main road. This is near Margao Hospice or BPS club. Close to Club Harmonia or old cine Metropole. It is on the main road. This spring is recenty develop into a garden. All buses (including shuttle buses) coming from North Goa including Vasco, Cortalim, Verna, Ponda etc stops here but other buses from the South Goa heading towards New KTC bus stand follow different road. Take motor cycle pilot from old bust stand charges may be Rs.10. 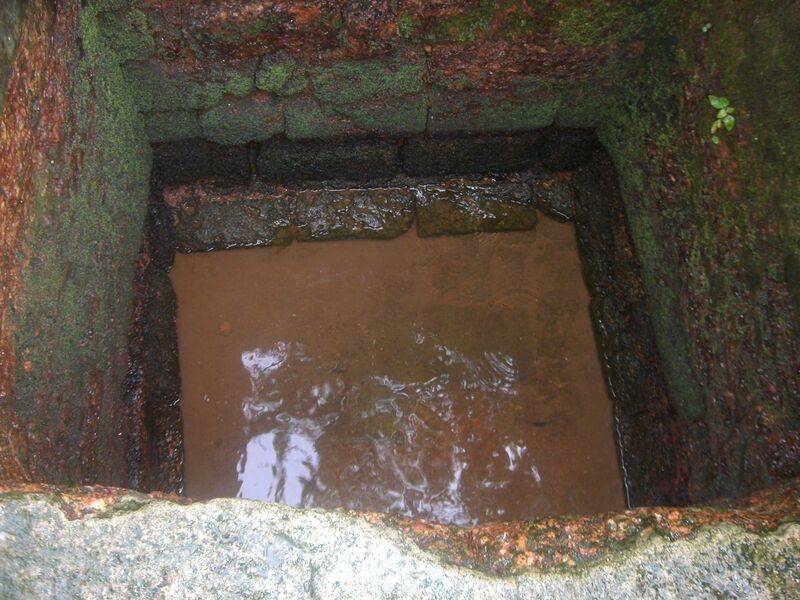 It was said that God had put together 40 spring to make this one and hence locally called ‘Challsamchi Zor’. Elderly lady there was saying this was once very popular and that there were rooms for changing etc. 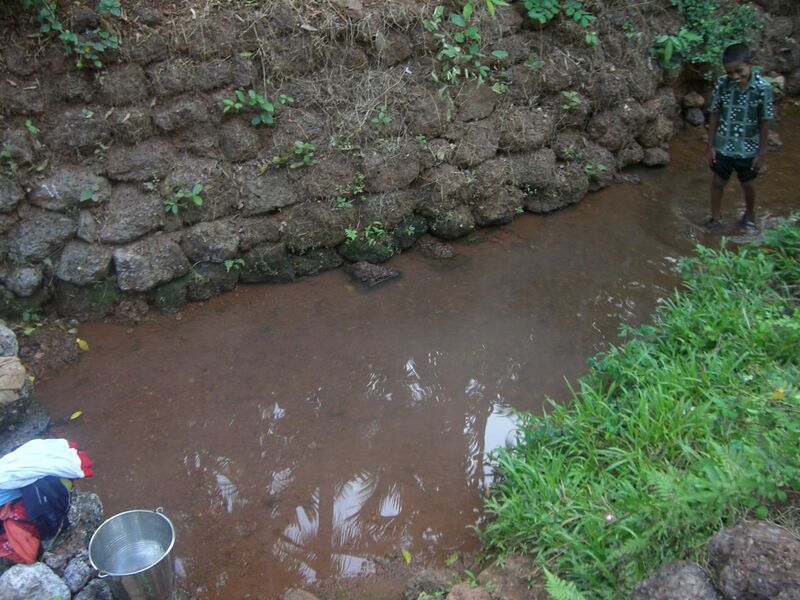 It is is Aquem Margao, near Late AN Babu Naik. How to get there?I think there are local buses going that way from old bus stand. Or else, hire a motor cycle pilot from old bus stand or new bus stand. Close to the road, there are some concrete steps to climb on. The locals at (Raia-Quevon) there were saying it was once very busy spring too. Now mainly used for washing clothes. It is near the Raia Church. A small road connected to the main Road (Margao-Ponda ). How to get here?All buses from Margaa to Raia, Ponda etc or vice versa stop here. Nearest Stop is Raia Church. 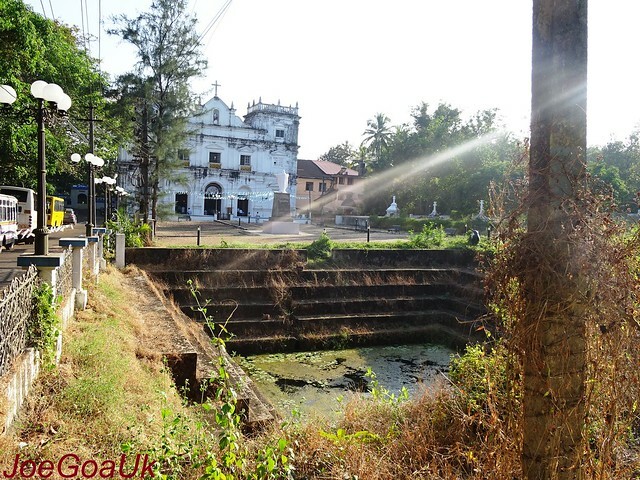 Once you get down at the Church stop, there is road towards your left (facing Borim Ponda road). Small cars/two wheelers go right up to the spring. 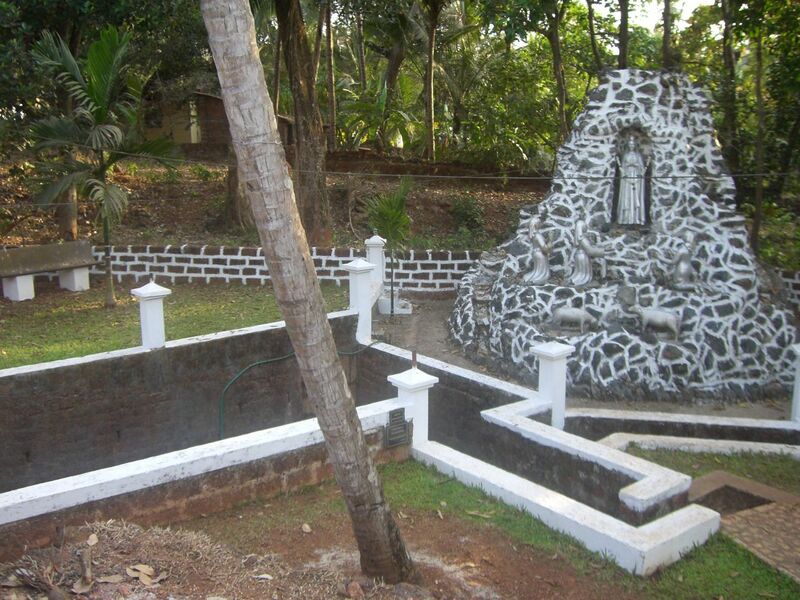 Blessed Joseph Vaz spring at Sancoale. Just opp. the Church/Sanctuary (other side of the road). Drinking water tap provided here by pumping water from the spring to the tank. 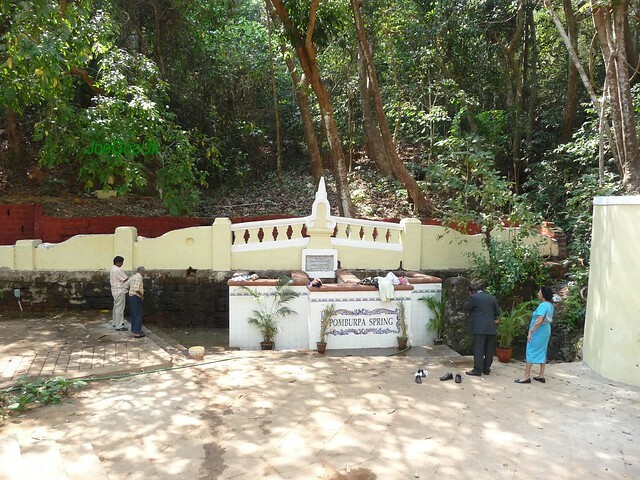 How to get here?Some local buses from Cortalim Church, Birla, Cansaulim etc. stops here. It’s on the main road. This spring is my favourite (although I have been here just once). 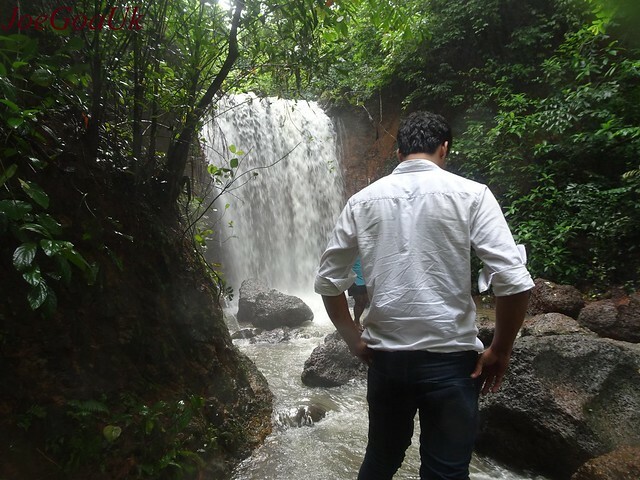 This is the best Spring in the south Goa so far. 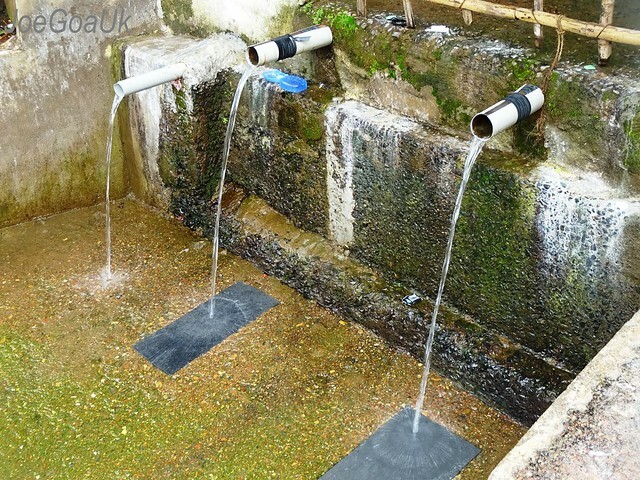 It has 3 large flows so that 3 people can have bath at the same time. I went there Late April 2007, and surprised to see the size of the flows even at this time of the year. Locals there says even during the month of May the flow remains more or less the same. Rivona is in Sanguem taluka. Or Take Margao-Quepem-Sanvordem buses and get down at Tilamol. From there take another bus or pilot. 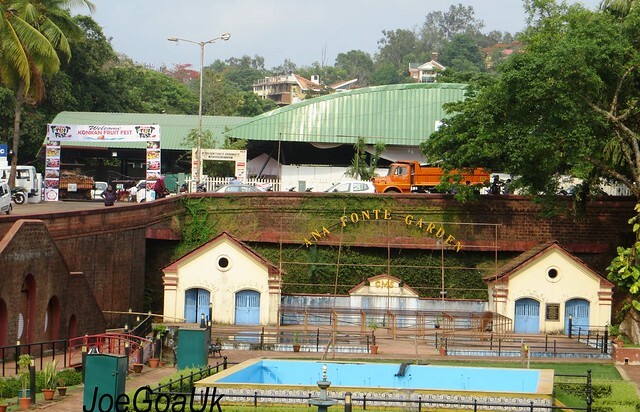 Margao Rly St ation/Sky bus, MES Camp, St. Jose de Areal, Gudi Paroda, Quepem and Tilamol. From here/junction take road to Rivona where you will come across Pimlamoll, Zambaulim Temple, adem Bridge (see pic & click on it, looks very beautiful) and then Rivona. All cars/two wheeler go right up to the Spring. See video for more detail direction. This is just before Baradi Cross Chapel Road. 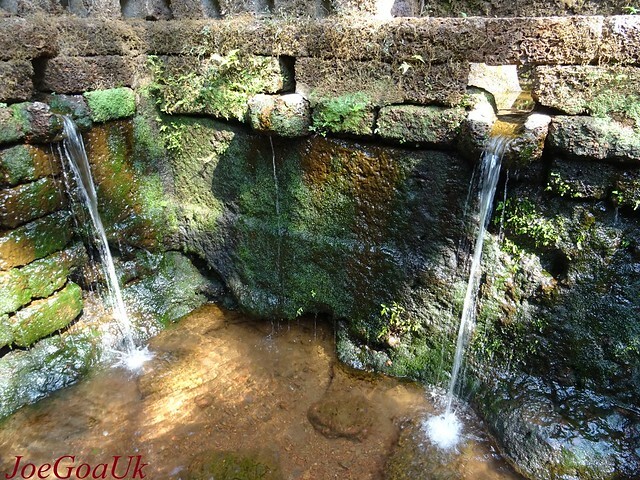 This spring with very fine flow at this time (April/May). Ther are buses from Margao to Betul (about 22 kms). Get down at Bararadi chapel Road. It is on the main road about I minute walk. This one lies just behind the Betul Fort where some old machinery/equipment of Salgaocars Mines also seen (see video). 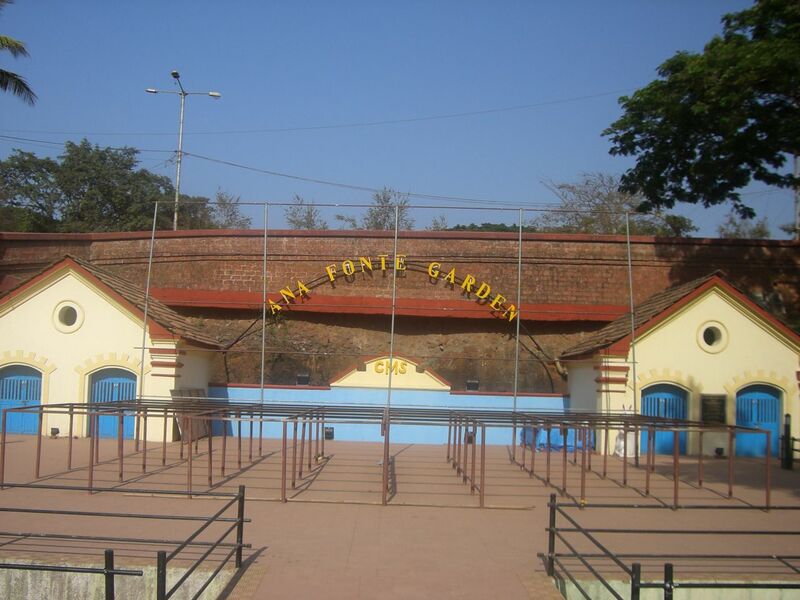 On this Betul fort one can see one cannon (see pic). 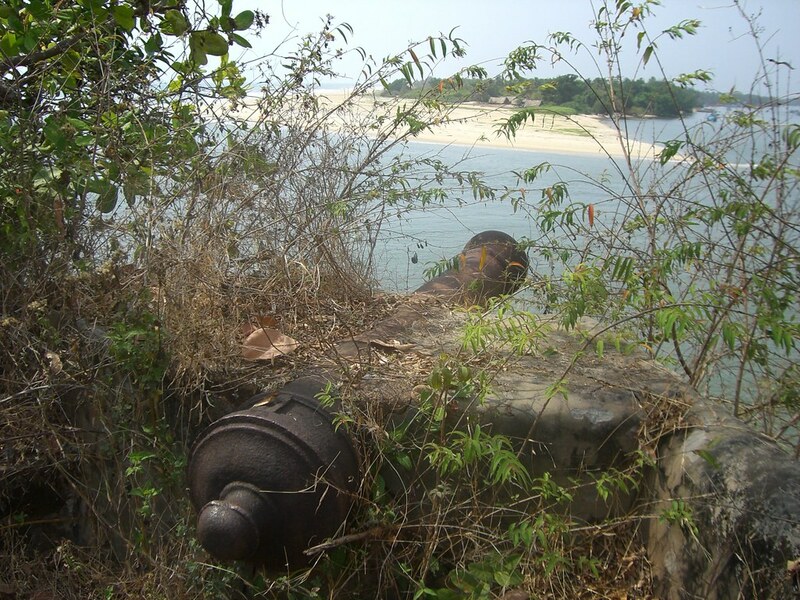 This Fort I have accidentally discovered as this was very near to the spring/beach. Also, I went there for just one spring but found 3. How to get here?Same as No 13. above but get down at the last stop. This spring is little interior behind the fort. This Spring is not very far from the above 14. In between this and the 14, lies the Betul Fort. 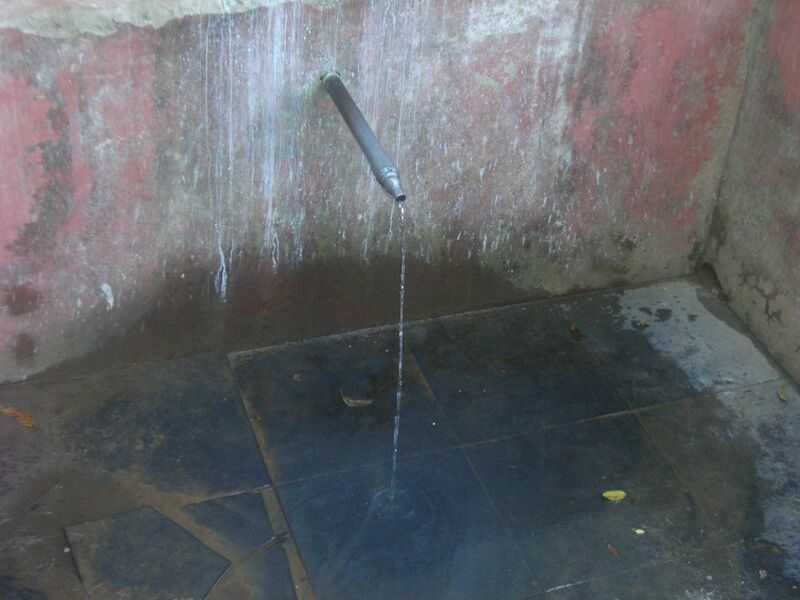 The water directly flows into the tank from where people pull water for bathing etc. 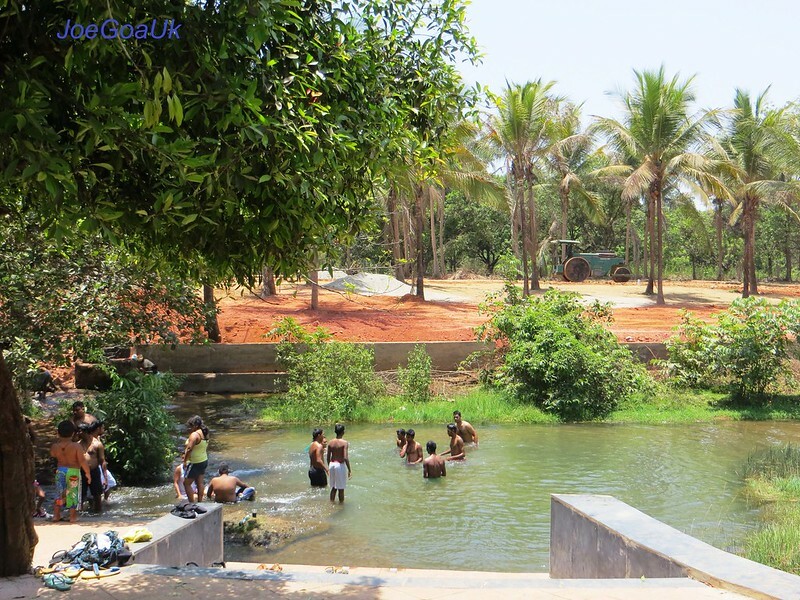 Although the water level there appears very low, it never dries up as can be seen many boys taking bath at the same time. 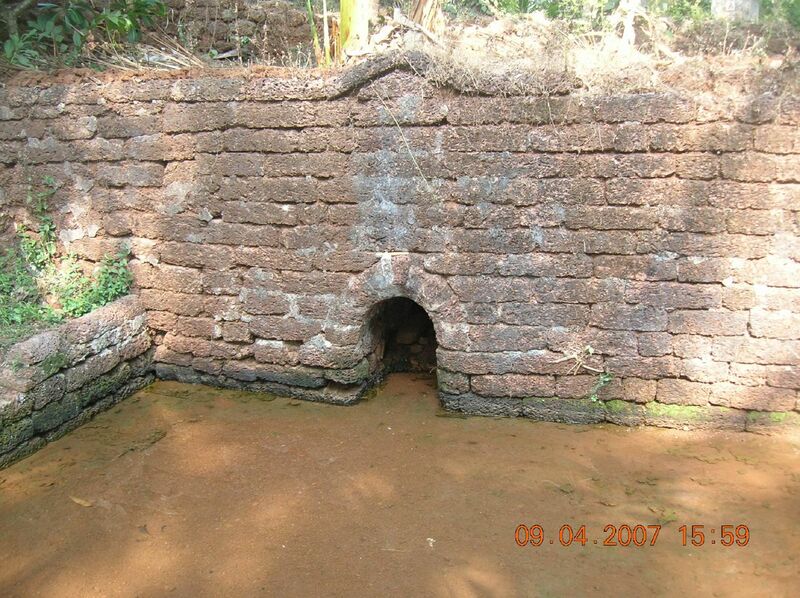 This spring is in Ponda Taluka. 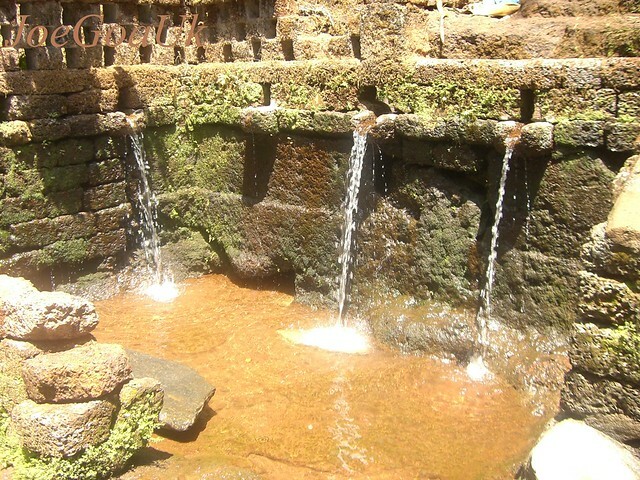 It water flows into the ‘Tolli’ (a big tank/pond in front of Temples). There is a huge and beautiful temple too (I think it is Lord Damodar (managed & run by Tata Co?). Many kids seen playing/swiming in the pond. 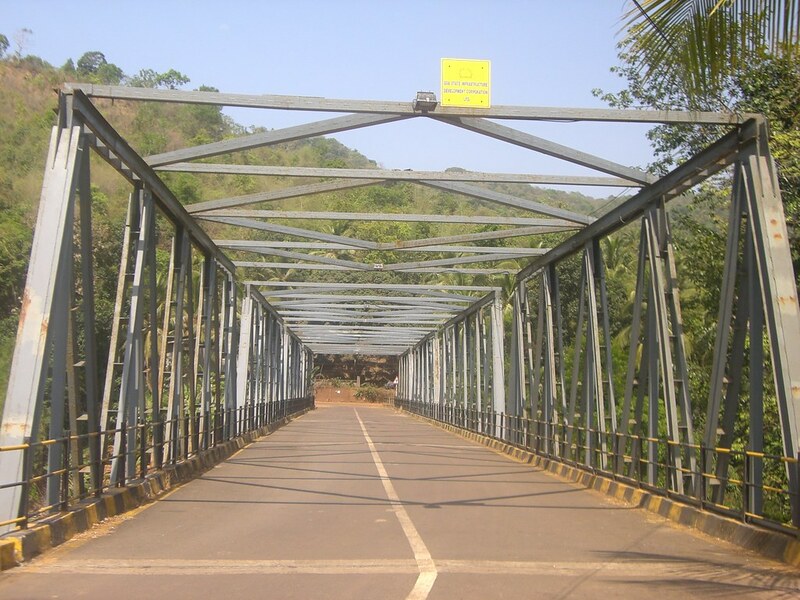 Road to Panjim-OldGoa- Ponda-Borim-Margao and vice-versa. There are buses to go to Mardol too but don’t know if buses going right up to the spring. Pvt cars/Two wheeler go right up to the spring. 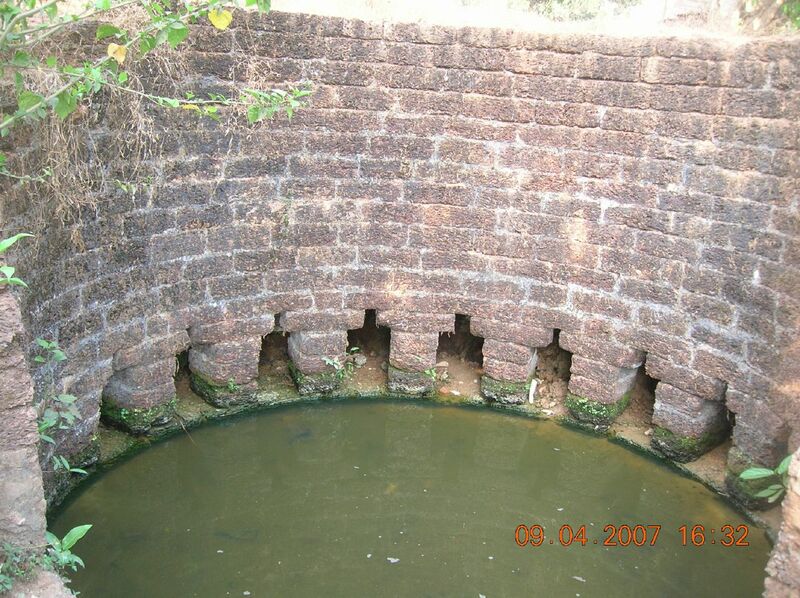 - All Springs were once very busy or popular now seems neglected by the Govt. or landlords/owners. 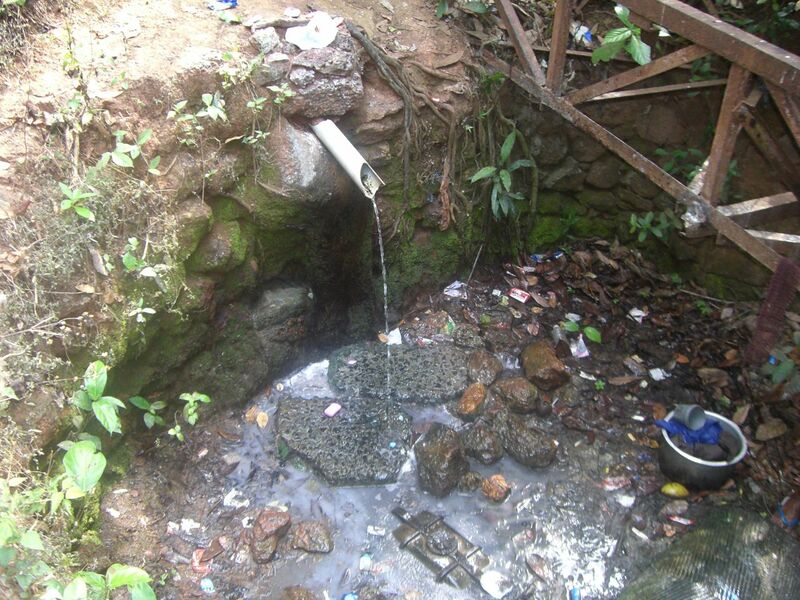 - Locals are seen washing their dirty clothes at almost all the springs including Mardol. This should be discouraged. 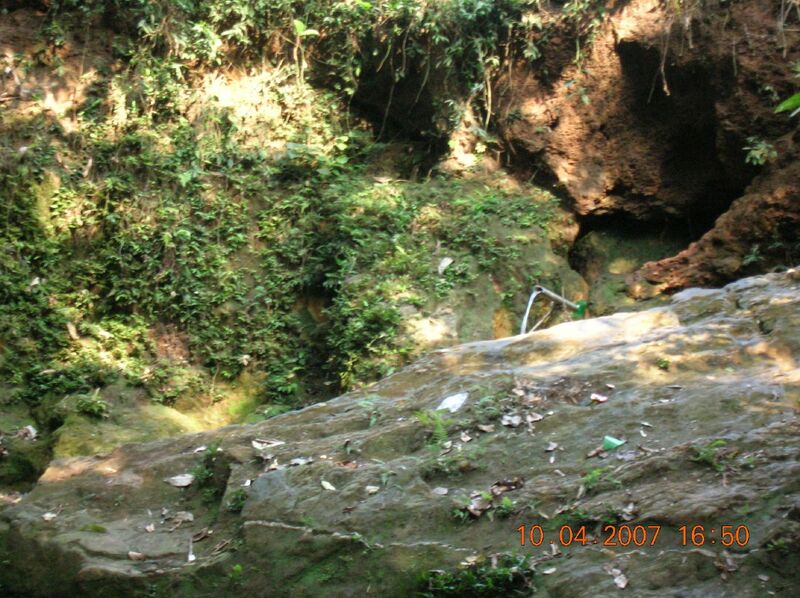 -In order to protect our springs heritage, Govt. 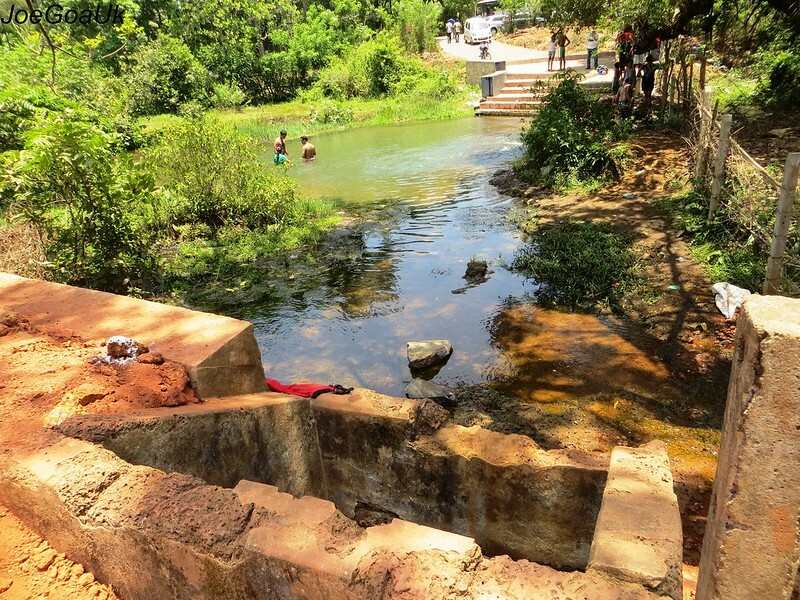 should take over all the Goan Springs and develop, maintain for the benefits of Goans and tourists Or else, say after another 10-15 years, there would be no springs left in Goa. 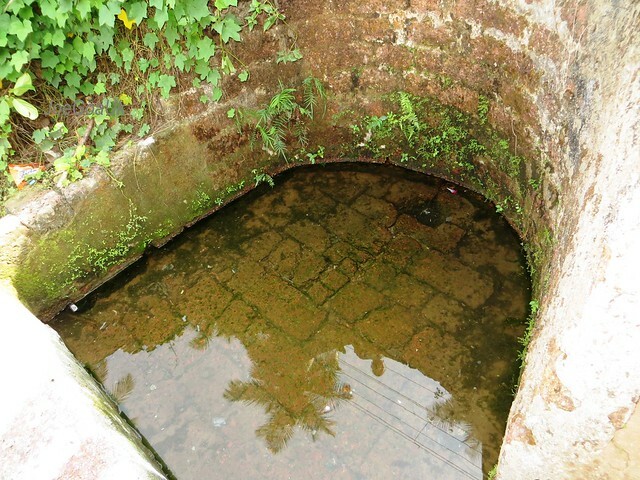 Do you know any more springs in South Goa ? Please leave a note in the comment box below.